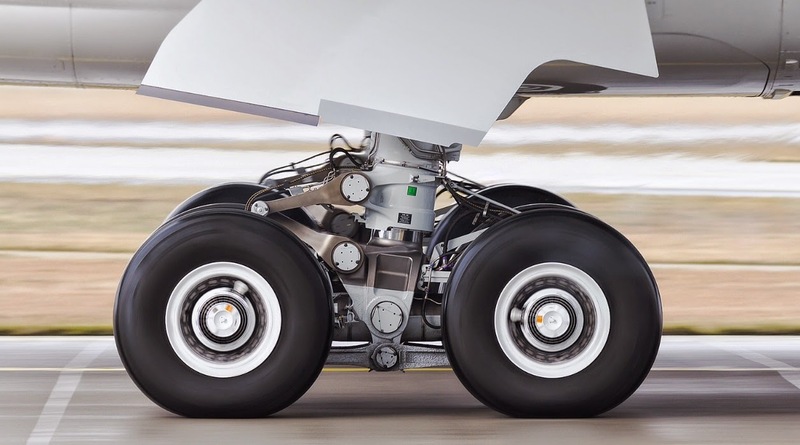 2000 parts in the A350-900’s main landing gear. 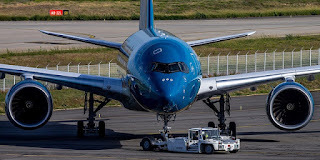 Messier-Bugatti-Dowty has been one of the European aircraft manufacturer’s partners for a very long time and is playing a key role on the A350-900 program. 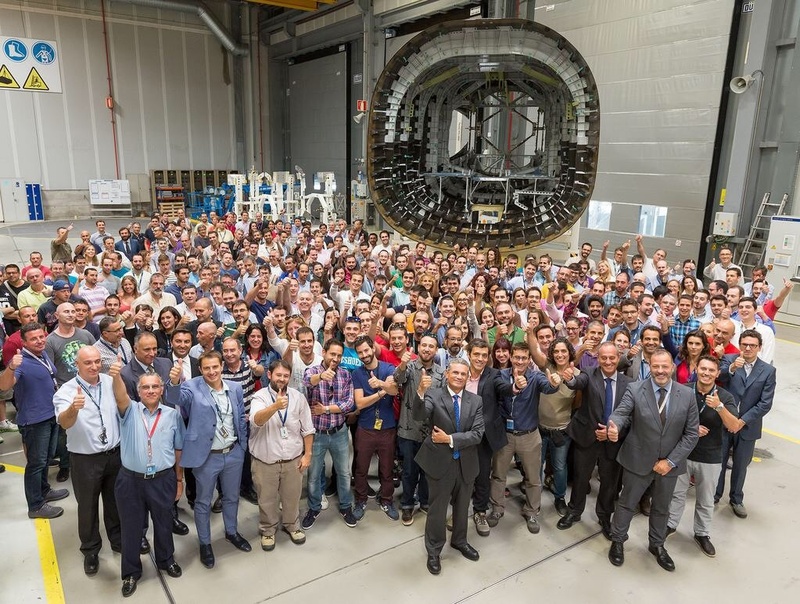 More than 300 Messier-Bugatti-Dowty engineers and technicians worked on designing and producing equipment for the A350 XWB. 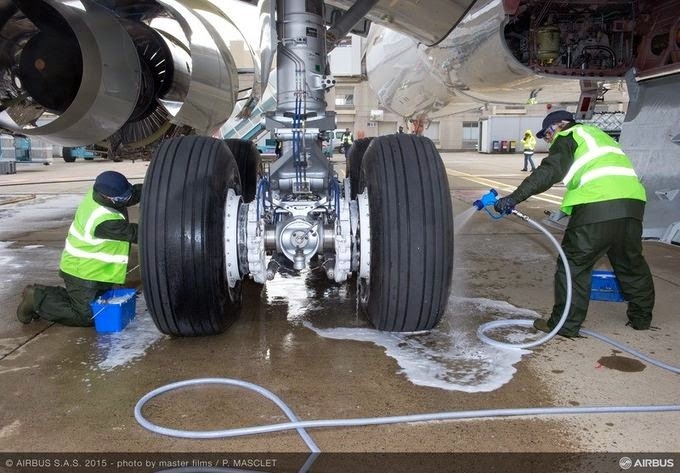 “We will also be supplying the main landing gear on the A350-900 version,” explained Messier-Bugatti-Dowty Program Director Hélène Moreau-Leroy. “Airbus decided to use tried and tested technologies for its landing gear and systems on its new aircraft, to ensure they were mature at the entry into service, but nevertheless set very ambitious weight targets, which were a major challenge during the development phase,” added Hélène Moreau-Leroy. 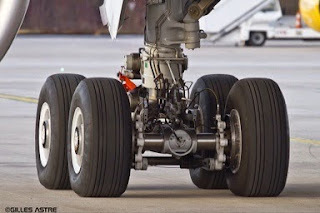 To meet this requirement for lighter landing gear, Messier-Bugatti-Dowty significantly increased high-resistance titanium content in its various parts (in particular in its structural components). 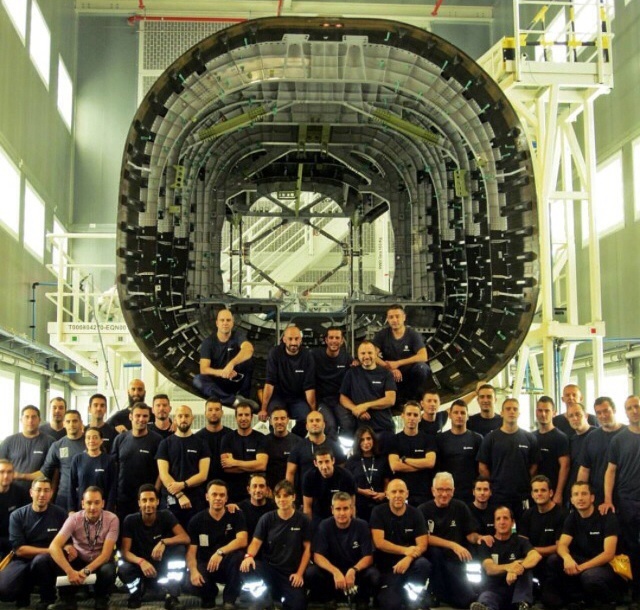 7 Messier-Bugatti-Dowty plants are working on A350 XWB production in France, the US, Canada, China and the UK. There is another notable novelty; the A350 XWB is the first Airbus with a guidance system using differential braking, which makes it possible to steer the plane on the ground if the hydraulic or electronic steering systems fail. 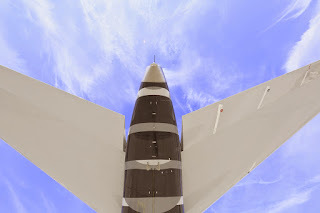 “The aircraft will also come with our 3rd-generation tire-pressure monitoring and wireless information transmission system,” added the Program Director. 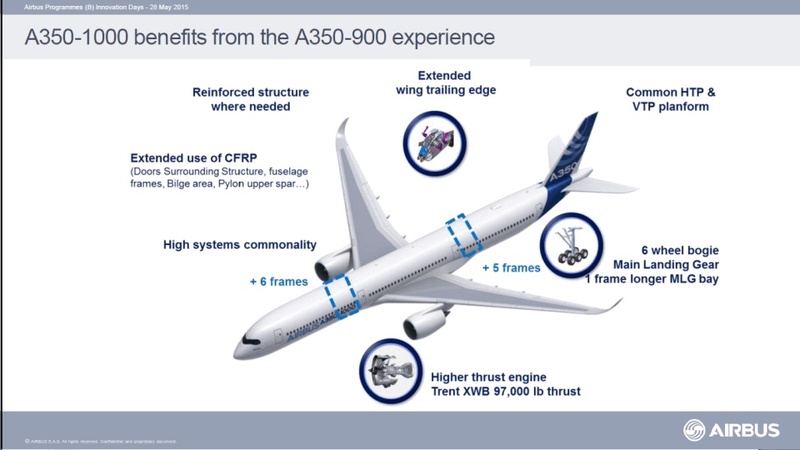 Based on the press release "A350 XWB: a high-flying landing system"
Rear fuselage side shells for the first A350-1000 delivered to Hamburg pre-FAL. 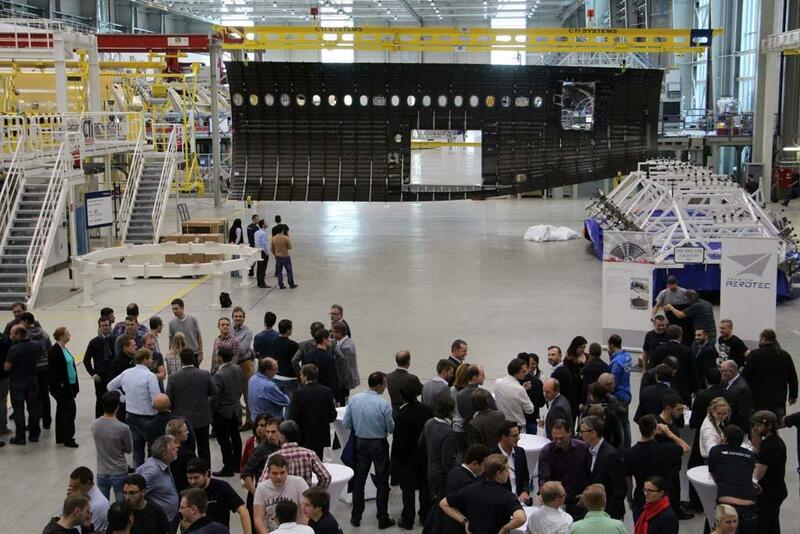 Premium AEROTEC has handed over the rear side shells for the first A350-1000 to Airbus at its Augsburg site. Each of the 2 side shells is over 17 meters in length and almost 5.5 meters wide. 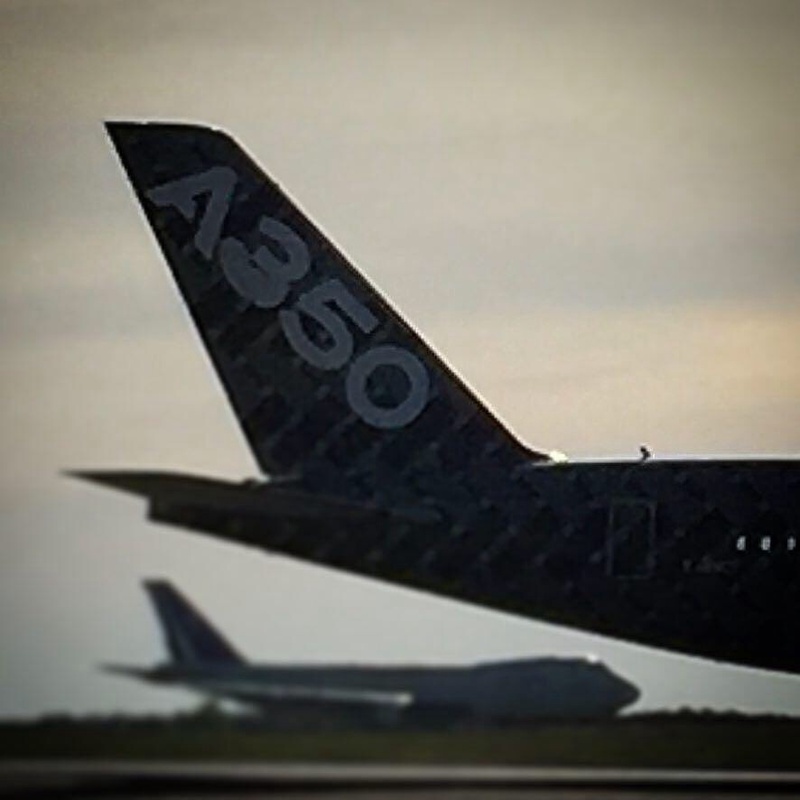 This makes them the largest aircraft components to be manufactured in CFRP in Europe. 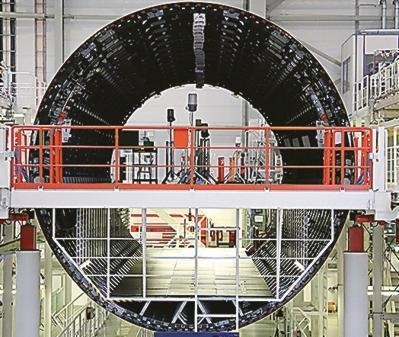 Together with the floor structure and the CFRP pressure bulkhead, which are both developed and produced in Augsburg, this will be assembled by Airbus in Hamburg to create the complete rear fuselage section of the first A350-1000. 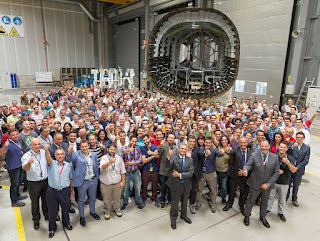 “Just 2 weeks after handing over the front fuselage section to our customer in Nordenham, today we are celebrating hand-over of the first 2 rear side shells, yet another milestone in the A350 program. 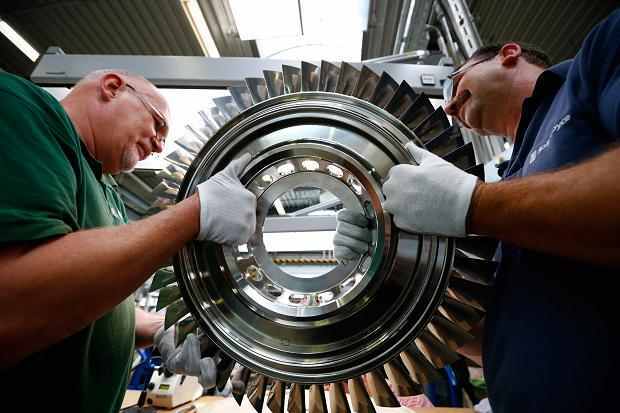 That makes us confident that we can successfully master industrial ramp up for this program, which is so important for us,” said Joachim Nägele, Program Head for Premium AEROTEC, during a low key hand-over ceremony in front of 250 Premium AEROTEC staff and representatives from the customer, whom he thanked for the successful collaboration. Premium AEROTEC is manufacturing the side shells of the rear fuselage (section 16/18), the floor structure and the pressure bulkhead at its Augsburg site. This site is also producing the individual components of the CFRP door frame, which will be assembled at the Varel site. 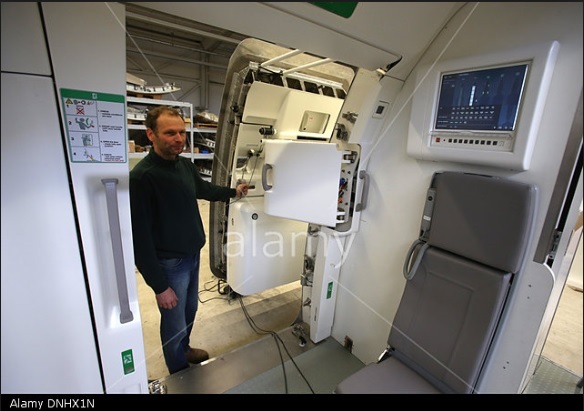 In Nordenham the company is manufacturing the complete front fuselage section 13/14. Emirates order for A350. 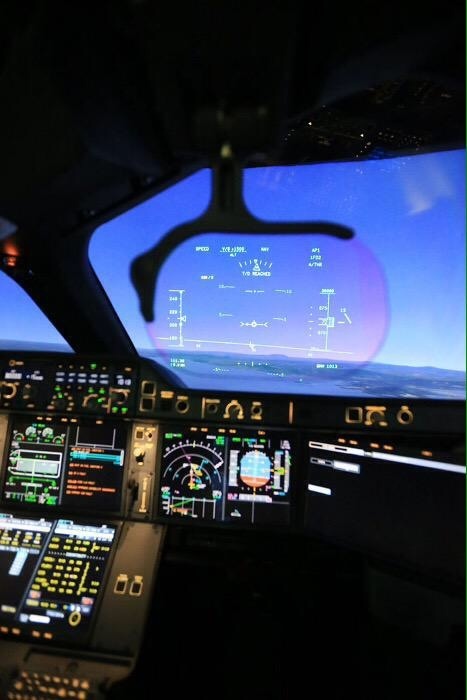 The main target of the year for Airbus. The head of Dubai's Emirates, Tim Clark said 2 years ago concerning the dozens of potential orders for Boeing 777X, or the A350-1000, or both that are on stake: "As Airbus knows, I want to see it on its wheels with its engines running and preferably in the air". "I am afraid I am not prepared to accept anything until I see telemetry giving performances of the engines and the fuel". 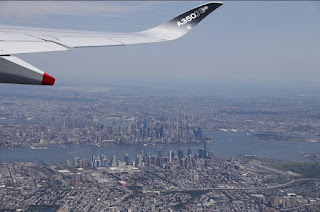 "The A350-1000 is definitely one that we would be looking at. But first of all - show me." 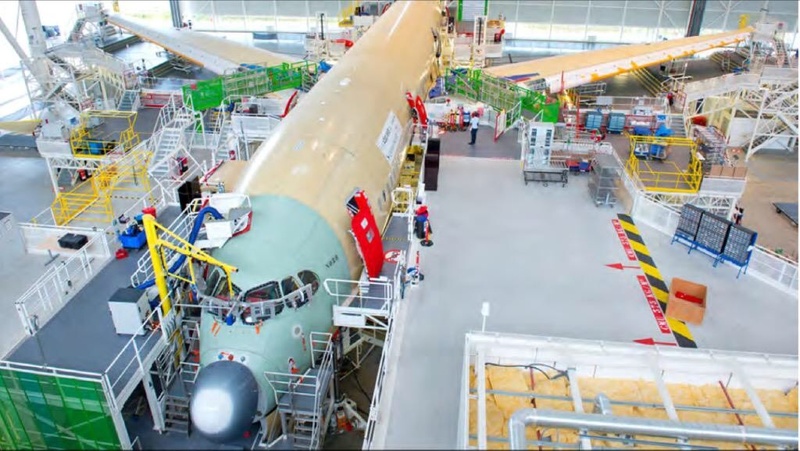 Airbus has been able to show A350-900 performance data to Emirates but never of A350-1000 data that it is on the assembly process in the preFALs. On track but still in the assembly process. 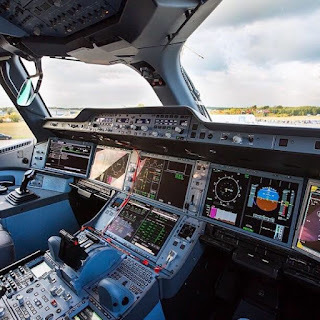 Eyes on the Dubai Air Show next November will be watching for what could be would be this year’s prize catch: whether Emirates Airlines will be ready to place the oft-talked about order for 50-70 widebody aircraft: Airbus A350-900s, A350-1000s, Boeing 787-10s or Boeing 777Xs. Negotiation final phase has started. Based on the article "Countdown to A350 first flight" published in Reuters. 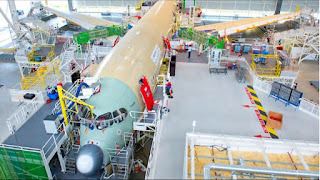 Will the COMAC 929 be the competence for A350 XWB in the future? 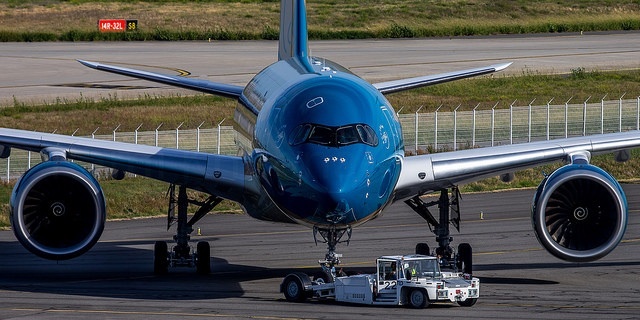 Sources in both China and Russia indicate that the formalization of the long-discussed agreement to build a new widebody aircraft in China using Russian intellectual property will be approved later this month and finalized by the end of the year. Under the agreement, Russia will supply the intellectual property from the Ilyushin IL-96 widebody jet, which will serve as the underpinnings for the design of a new aircraft, currently names the ShFS by UAC and expected to commercially be named the COMAC 929 in China. The joint venture will be a 50-50 split, with a total investment of about $13 billion required. The ShFS is expected in 2 models, a 300 and 400 seat model with a range of 2,700 nautical miles to serve internal markets within China and Russia. 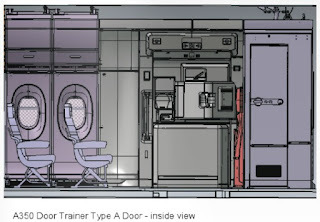 Roll out of the first flying prototype is planned for 2021, certification in 2023, and serial production and deliveries beginning in 2025. In the near term, it is unlikely that the new aircraft would be a serious threat to Airbus and Boeing widebodies in international markets, but would negatively impact their sales in China. 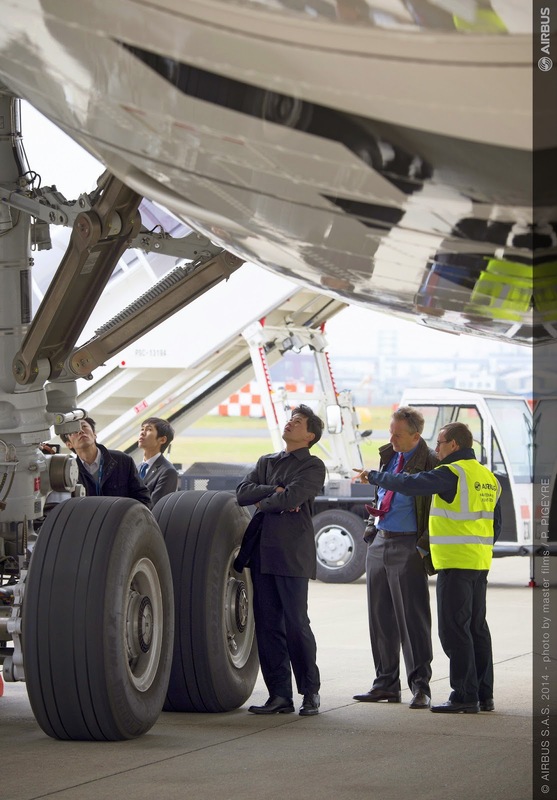 China is a patient country, and has targeted aviation as a key future market. While they are still learning, they recognize that their strategy is long-term and will require 20-30 years. The new aircraft is merely a first step along a longer path to take a large share of the international market. Based on the article “Sino-Russian Widebody JV Approval to be Announced Soon” published in AirInsight. First A350-1000 fuselage assembly started at Hamburg and Saint Nazaire preFALs. 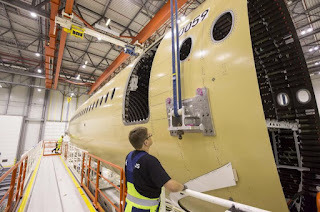 The first A350-1000 is taking shape with the assembly start of the first fuselage major components at Airbus plants in Hamburg and Saint-Nazaire. 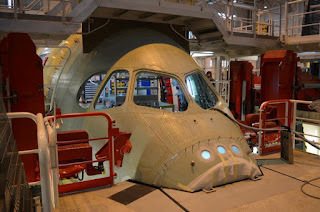 The forward fuselage section for MSN59 has been delivered by Premium Aerotec to Airbus in Hamburg where it will be equipped before being flown to Saint-Nazaire on board the Beluga. 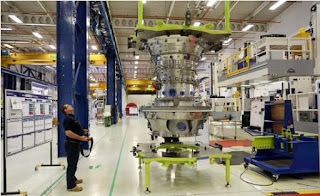 The nose fuselage section has been delivered by Stelia Aerospace to Airbus in Saint-Nazaire for assembly and equipping. The forward and nose fuselage sections will then be joined together in Saint-Nazaire to form the front fuselage which will then be flown by Beluga to the A350 XWB Final Assembly Line in Toulouse. Final assembly of the MSN59 will begin in Toulouse early 2016, between February and March. 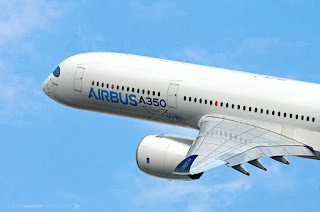 Based on the press release "Airbus starts assembly of the first A350-1000". Finnair or Qatar? Who will the 1st to debut the A350 on flights to USA? Finnair aims to become the 1st airline to operate an Airbus A350 service to the USA, with plans to use a -900 for New York JFK flights before the end of the year. 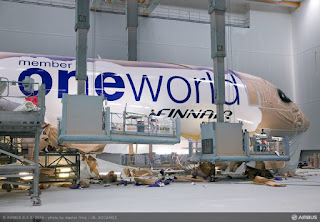 The Oneworld carrier outlined its intention to deploy the type to the USA later this year in detailing a "slightly adjusted" A350 launch schedule. 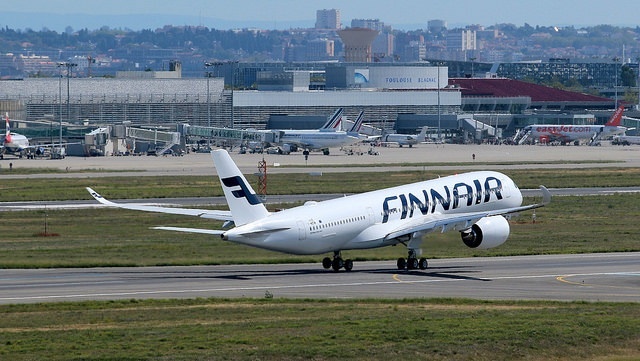 Discussions on possible start dates are ongoing between the carrier and JFK officials with a view to beginning services in December, said Rikke Munk Christensen, Finnair's head of traffic planning, at World Routes 2015 in Durban. 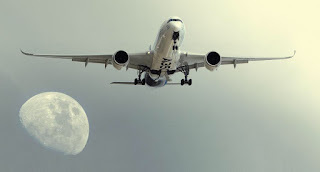 She declines to say definitively that the flights will begin before the end of the year, saying only that more details will be available in 2 to 3 weeks. If Finnair launches A350 services to the USA in December, it would beat fellow Oneworld Alliance partner Qatar Airways to become the 1st airline to do so – although by a matter of weeks. 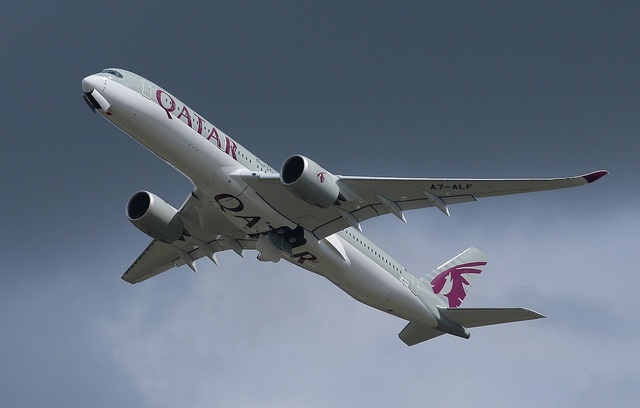 Doha-based Qatar will debut the A350-900 on its flights to Philadelphia on 1/January/2016. 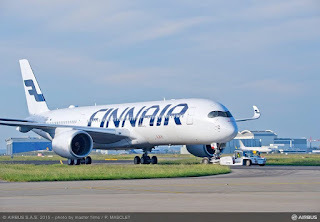 Based on the article “Finnair targets US debut for A350” published in FlightGlobal. 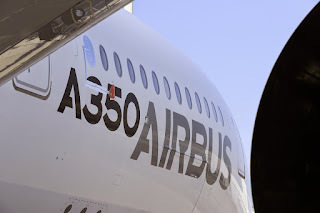 A350-1000´ Trent XWB-97 to be installed on the A380 MSN1 Flying TestBed. 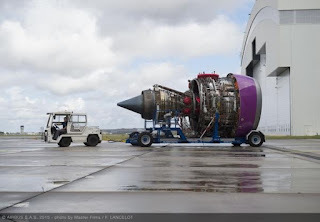 The key Trent XWB-97 engine is the flying testbed. Serial No. 26000 has arrived to the FAL in Toulouse where it will installed on the A380 MSN1. 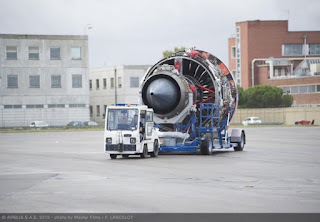 This engine is close to the production standard and will be the first engine to fly and all the tests associated with the production engine need to be created. The engine run in July at Rolls-Royce and was delivered to Toulouse in early-August so Airbus now can pod it. 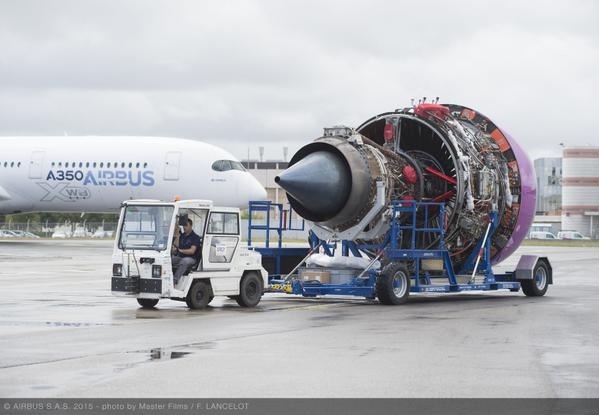 The 97,000-lb.-thrust engine due to fly in coming weeks is the 1st of 2 units destined for initial evaluation flights on the Airbus A380 flying testbed MSN001, and will be used for evaluating engine operability, relights and handling. Beyond engine-specific testing, Airbus also intends to use the XWB-97 on the A380 for integrated nacelle tests. 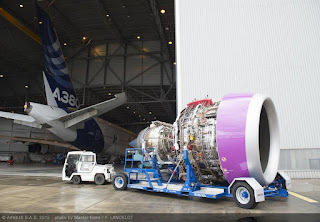 Unlike the -84, which first flew on the A380 in February/2012, the higher- thrust engine Trent XWB-97 will not have undergone simulated altitude evaluation in a test cell before it takes to the air on the flying testbed. The flight testing on Airbus’s MSN1 A380 is designed to fine-tune powerplant integration and “de-risk” the flight test program on the A350-1000, expected to begin at the end of Q3/2016. 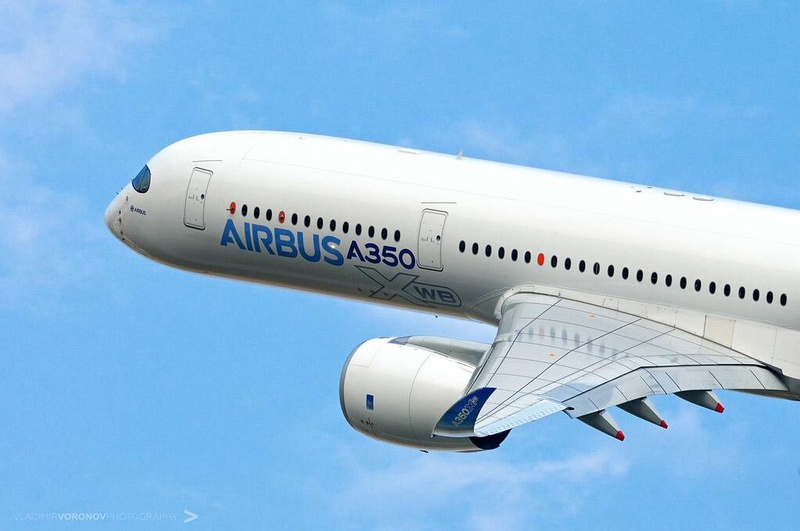 The first A350-1000 is due to fly in end Q3/2016 and is scheduled to enter service in 2017, 2 years after the Trent XWB-84-powered A350-900. 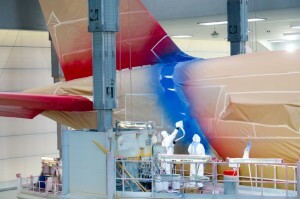 1200 litres of final paint for TAM´s A350-900. 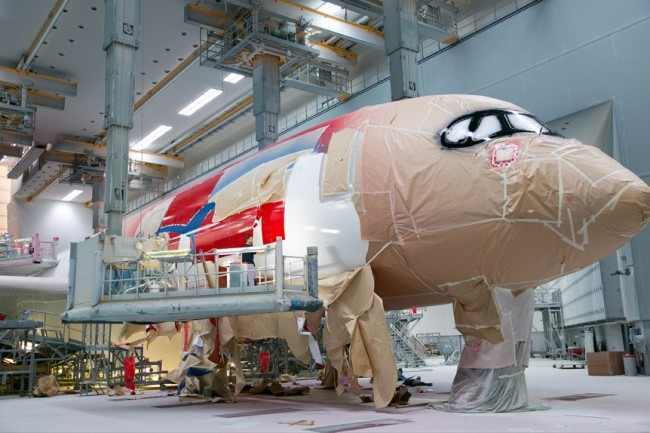 The A350-900 of TAM, which was painted in September, required 1200 litres of final paint to complete the brazilian company´s livery. 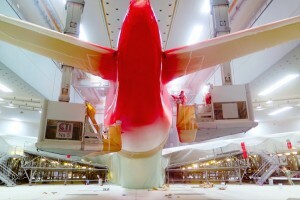 9 days in the paint-shop at Toulouse where the technology called Base Coat – Clear Coat (BCCC) is used. Using this technology for all A350s, electrostatic guns paint with more pigment. 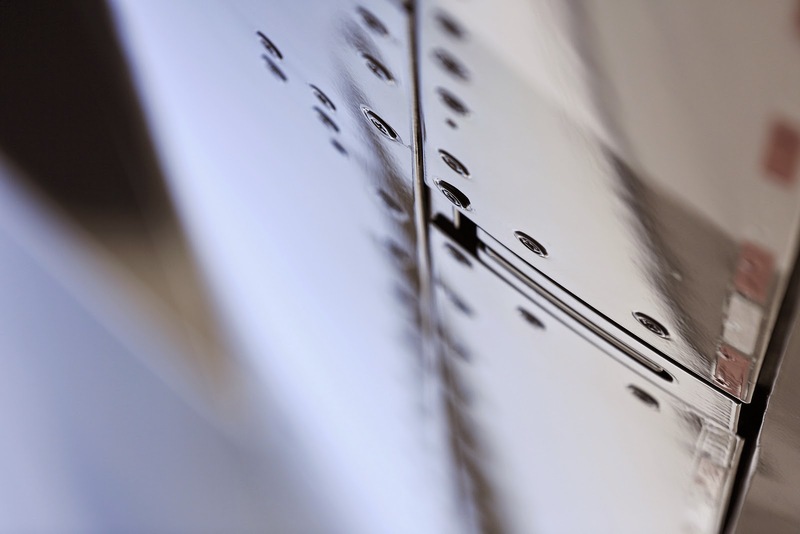 In the end, the process requires less ink (10% reduction) and let the aircraft approximately 20 kg lighter than with the traditional process. 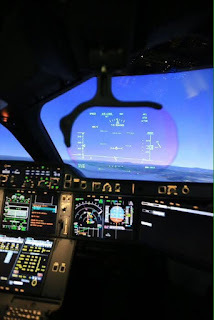 The black windshield, between the glass, is the specific detail of the A350 for all airlines, turning out in a hallmark of this model. Based on the article “Airbus usou 1.200 litros de tinta para pintar A350 da TAM” published in Gazeta do Povo. A350 Door Trainer for China Airlines. RST Rostock System-Technik has been awarded a contract by China Airlines to design, manufacture and install an A350 door trainer. 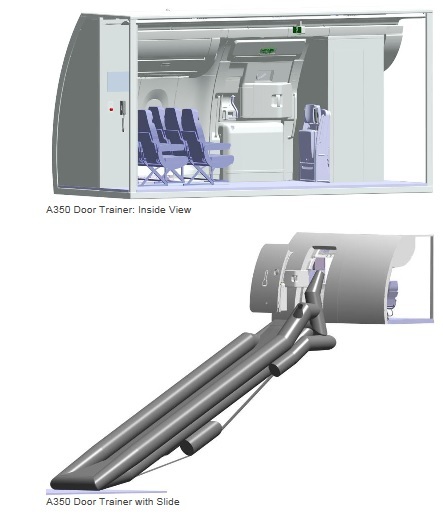 The A350 1L door trainer will be installed at the China Airlines Training Center in Taoyuan, Taiwan, and be ready for training at the end of January 2016. 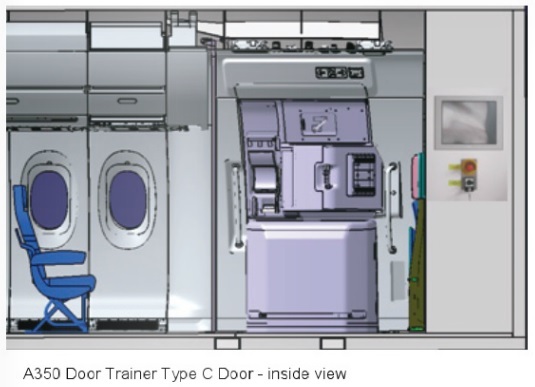 This door trainer will be the 6th A350 cabin training device that RST is installing for airlines and training centres worldwide. 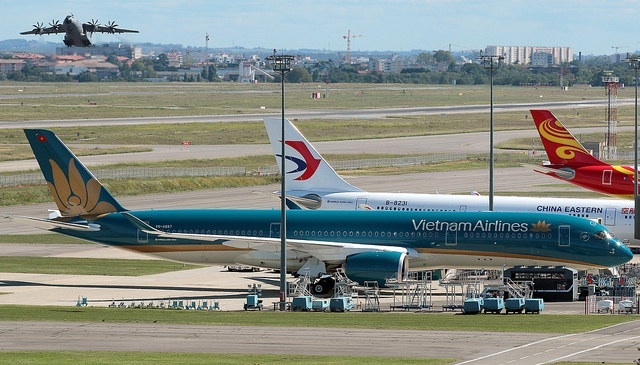 Other A350 door trainers have been installed for Vietnam Airlines at Ho Chi Minh City, for Qatar Airways at Doha and for Airbus Training Centre at Toulouse. 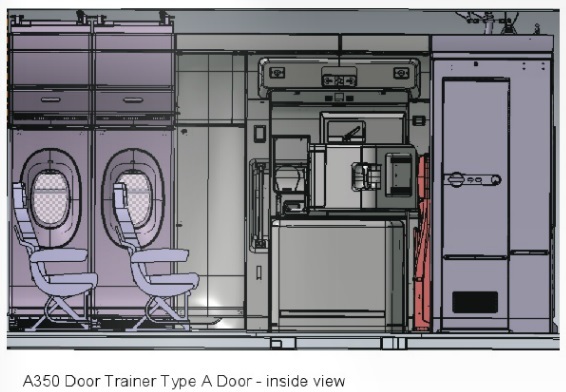 Based on the article “A350 Door Trainer for China Airlines” published in CAT Magazine. 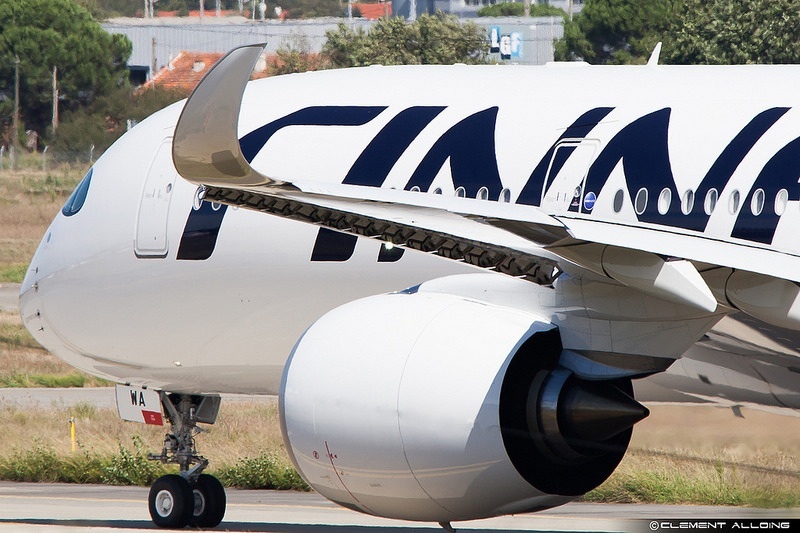 Finnair to take delivery on its 1st A350-900 on 7/October. Schedule for familiarization flights in October. Finnair has slightly adjusted its Airbus A350 long-haul launch schedule, due to changes in the expected delivery schedules of the company’s first A350 aircraft, the needs of the crew familiarization program, and other operational factors. The company wants to offer the best possible customer experience for its customers, and has therefore adopted a slightly more conservative launch schedule than previously indicated. Hand over ceremony is scheduled on 7/October at Helsinki, with the 1st commercial flight scheduled on 9/Oct to Amsterdam and Oslo. 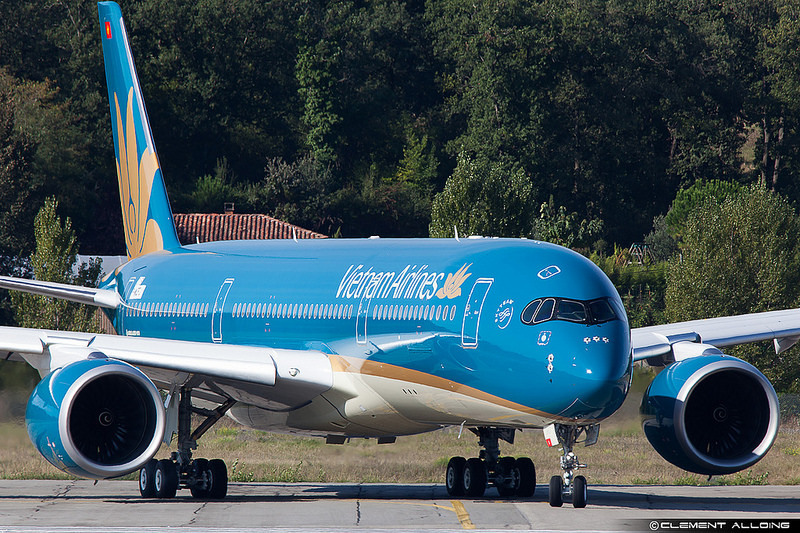 For the first few weeks, the new aircraft will serve crew familiarization flights in Europe. Finnair’s 1st Airbus A350 XWB enters into long-haul service on 21/November when the aircraft flies from Helsinki to Shanghai. The next A350 long haul destinations include Beijing (from 4/December), Bangkok, Hong Kong and Singapore as previously announced. 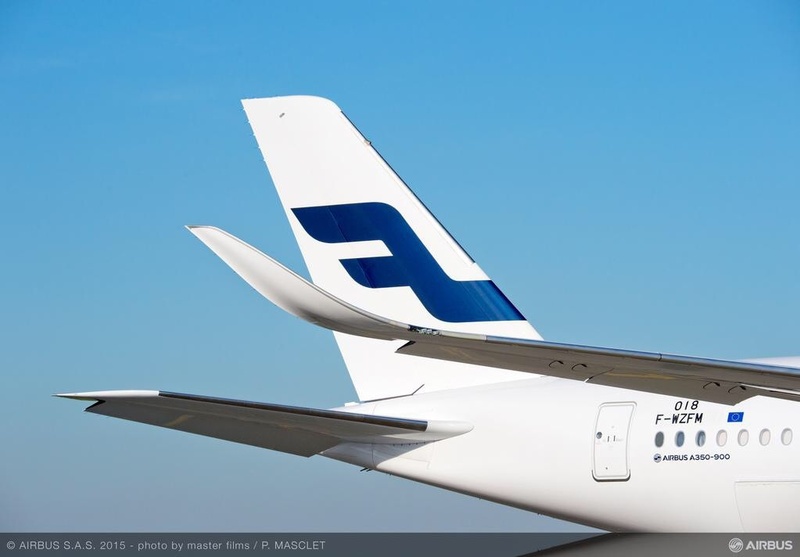 Finnair will also take the aircraft to New York later this year, becoming the first airline in the world to fly to the US with this new aircraft type. 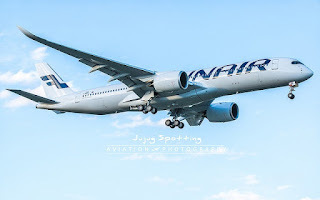 Based on the press release “Delivery ceremony of Finnair’s first Airbus A350 XWB aircraft to take place on October 7; long-haul service to Shanghai to start November 21”. 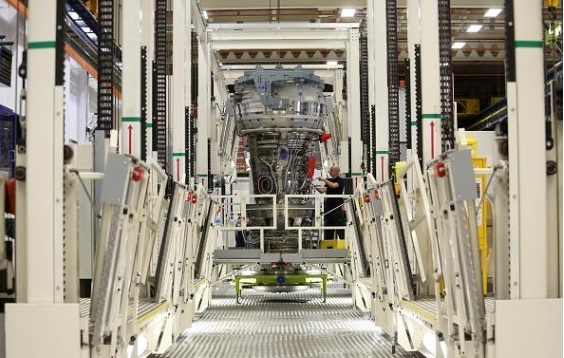 A350 engines being assembled on moving-lines and vertically at Rolls Royce site in Derby. Rolls-Royce production assembly site in Derby is being upgraded and the $46 million invested are primarily focused on the installation of 4 pulsed lines, 2 of which are already in action. The first 2 lines, one for the fan and one for the core, enable the units to be built up vertically, representing a break in tradition for Rolls. Each line has 6 positions, with engines “indexing”, or moving position down the line from station to station every 24hr. The floor of the line moves on rails, allowing the engine to shift to the next station without having to be craned into place, as was the case under the original assembly process. The next 2 lines will provide a site for the horizontal integration of the fan and core modules and an area for final preparations before dispatch; this includes borescope inspection, cleaning and packaging. The pulsed lines are “agnostic” to engine type and currently are being used to produce both Trent 1000s and XWBs. 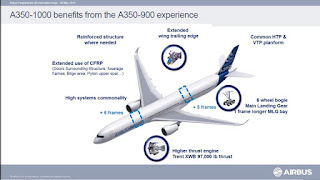 However, the investment is geared toward the coming growth in deliveries of the A350, firm orders for which translate into an orderbook for more than 1500 engines. 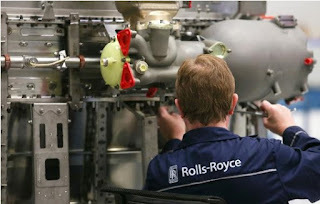 “The line will be used for building Trent XWB-84s and -97s, and mostly -84s over the next 2 years” said Simon Burr, Rolls-Royce COO for civil large engines. 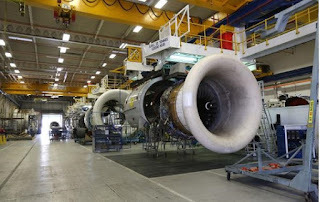 “Rolls expects to deliver 70 XWB-84s in 2015 and ultimately we reach a rate of 1 a day over the next 2,5 years; so that is 1 every working day by 2017, or around 250 per year” he added. “It is important to note that the investment in the industrial system and the development of pulsed lines reduces the time needed to build each engine, as well as the lead time. 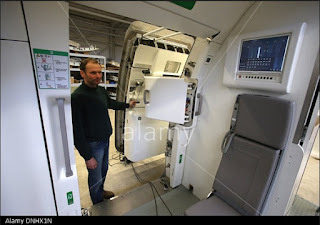 There has been a lot of effort put into the XWB to make production easier” he said. Based on the article “Pulsed Plans” published in Aviation Week. Airbus has finally delivered the 6th A350. 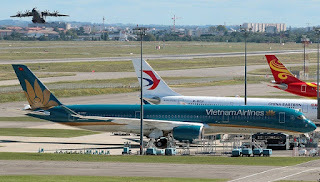 MSN15 to Vietnam Airlines. The last A350 delivered was on 30/June to Vietnam Airlines (MSN14) and after nearly 2 months and a half without deliveries, finally today Airbus has delivered the MSN15 again to Vietnam Airlines. 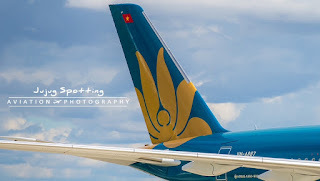 VN-A887 is the final registration of this aircraft that had the roll-out on 13/July and the first flight on 31/July. The MSN8 for launch customer Qatar Airways will be delivered in coming days after some weeks of delay. 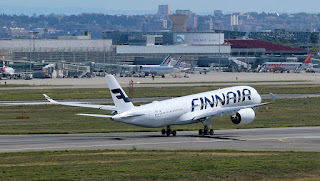 MSN11 for Qatar and MSN15 for Finnair could be delivered before. This is the 2nd aircraft delivered to Vietnam Airlines and the 6th A350 delivered to Customers. 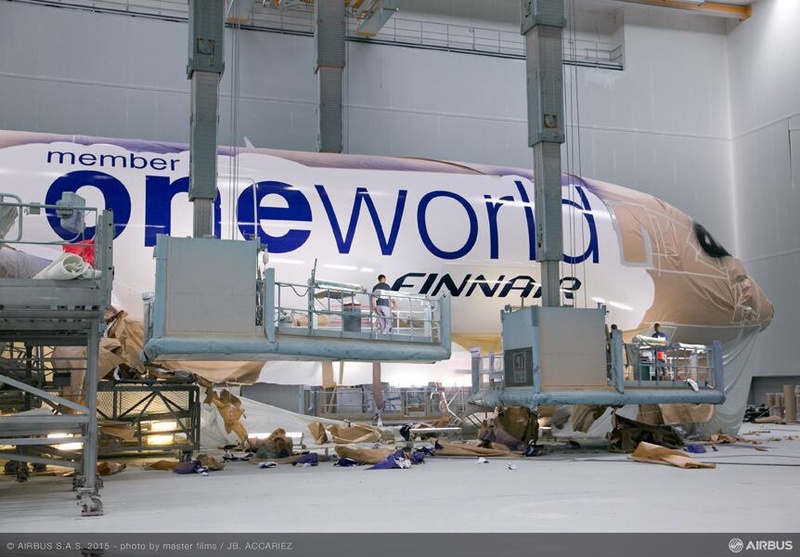 First A350-1000 fuselage sections´ manufacturing on track. The section-19 for MSN59 has been completed and delivered to Germany. 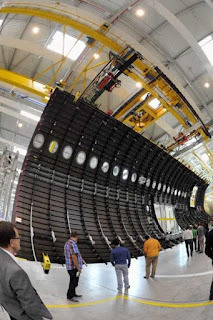 The tail cone is manufactured in Spain; the lateral shells at Illescas composite site and later the assembly is completed at Getafe site. The Section 19 is later shipped from Getafe to Hamburg for build up with the Section 16-18 panels. 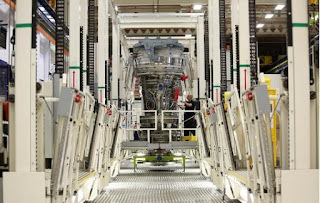 On the same date, Premium AEROTEC's Nordenham site handed over the complete front fuselage section for the same 1st A350-1000. 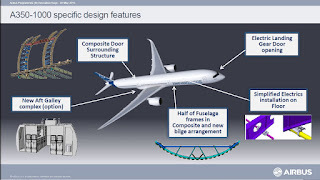 This fuselage section will be completed by a CFRP door frame, bringing significant savings in weight and costs. Delivery of the rear fuselage section from Augsburg is scheduled for the end of September. During the ceremony at Nordenham, Daniel Wenninger, Program Head at Airbus for the front and rear fuselage of the A350-1000, said: "In addition to higher loads and the use of new structural technologies, the over 3-metres longer fuselage section for the -1000 made considerable modifications in the design and construction necessary compared to its sister model A350-900. " "The team managed to devise a first-class design for this highly complex aircraft component and to deliver it on time and in the desired high quality. That is something they can be proud of." 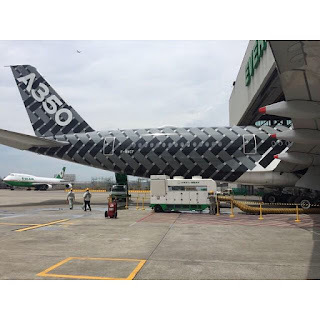 Philippine Airlines Nears 787 or A350 choice. 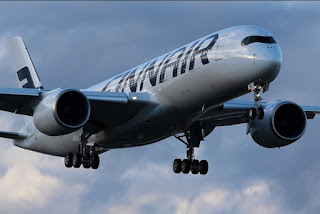 A350 cabin completion and deliveries from China? 4 A350s for Malaysia Airlines. A350 flyable scale model made in Germany. 1st MLG-Door for A350-1000 delivered. 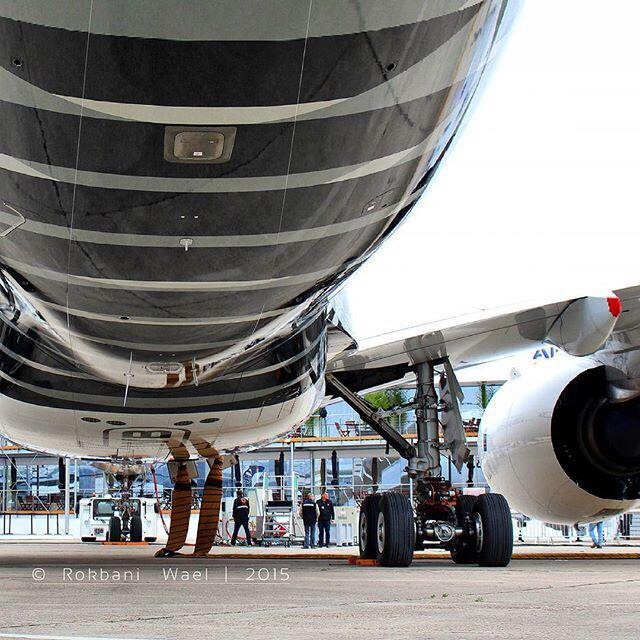 1 additional A350-900 for Air Caraïbes. 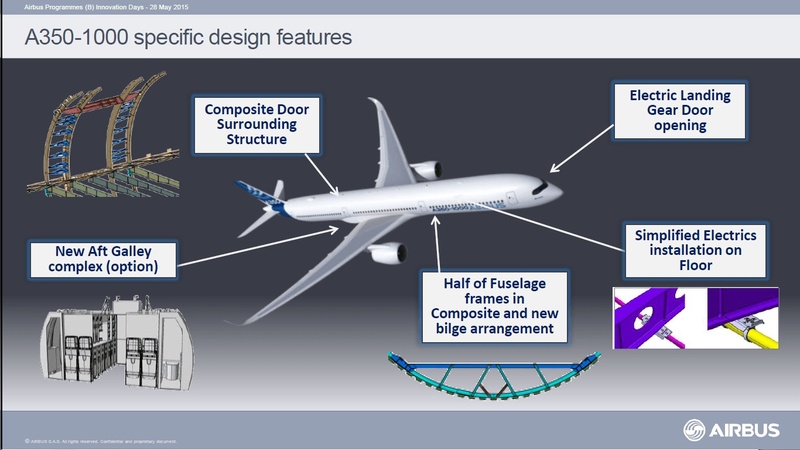 A350 Delivery plan for 2015. First 2 A350s for TAM will be repainted by 2018.